Were you also bitten by the travel bug but don’t know where to go his Fall? I can’t believe I’m saying this but Fall break is upon us (those that have kids know about this), and I must admit I didn’t know! A full week in the Fall where kids (and teachers) get to take a week off and do whatever, so why not explore! Well, here is a place that is amazing anytime of the year, especially in the Fall. Colorado’s Front Range, also where I spent a week this Summer on a culinary expedition through 6 different cities in 5 days. Sounds crazy? It was, but amazing, and where I made lifetime experiences and lifelong friendships, not to mention it was taste bud stimulation beyond belief! There is just so much to do, so I’m going to highlight the perfect spots to visit during the fall! You guys know I’m a wine girl, and perhaps it comes with the territory for being married to Winecoach, but Burgundy wines are close to the heart, especially after taking a tip to Burgundy, France! The fact that Boulder offers a three-day extravaganza, featuring the rarest wines of Burgundy for our tasting pleasure at some of Boulder’s most highly acclaimed restaurants is simply a must! A MUST try during the Burgundy Wine Festival! This is great for wine lovers, but also for those wanting to learn anything about such exquisite, delicious wines! And in November there is also Boulder’s Restaurant Week where more than 40 of Boulder’s top restaurants offer a special three-course, prix-fixe menu. Amazing! Fluffy Cinnamon Pretzels at the Boulder Farmer’s market! The most beautiful organic strawberries. I am a lover of Farmer’s Markets ANYWHERE, but I just love Boulder’s! No wonder it’s rated the No. 1 farmers’ market in the country (according to the readers of USA Today). Fresh fruit, hot chocolate, fresh pretzels, fresh honeycombs and juices, cheeses and the list goes on and one! Always a good time here! My favorite part is meeting the people behind the produce/products! The live music is also amazing, so when in Boulder, really make it a point to visit here! Celebrate Longmont’s favorite fall gathering with Left Hand Brewing Company, featuring ten live bands with headliner The Wailers, bringing their Funk/Soul/Dance/Pop sound. Nine local breweries will be on tap including Left Hand, Oskar Blues, Pumphouse Brewery, 300 Suns, Grossen Bart, Longs Peak Tap House, Shoes and Brews, Skeye Brewing, and Wibby Brewing. Longmont Oktoberfest will serve up fresh fare, live music, and German themed fun and festivities for all ages. The $5 suggested donation will benefit Habitat for Humanity’s House That Beer Built and the Left Hand Brewing Foundation! I LOVE Day of the Dead! and if you’re not familiar with it, it is also known “El Día de los Muertos”, originated in Mexico, and as per usual, despite it’s “death theme”, it is a festive celebration honoring the deceased loved ones on All Saint’s Day, which is a Catholic Holiday. Why do I love it? Besides the history and celebratory heritage, it is also quite colorful, I celebrate it every year! Longmont has a fantastic Day Of The Dead event, and this is the 17th year of this even which will showcase original artwork by local artists Carols Fresquez and Francisco Zamora; This is the largest of it’s kind in Colorado, and filled with activities that celebrate the season. Such fun, don’t forget to dress up! Over 100 different beers will be poured! Need I say more? This is the place to be if you want to visit the mecca and meet makers: The Colorado brewers themselves! Over 30 Colorado breweries represented, this even is held every year on the day we turn the clocks back (such an original thought process!) and The Fall Back Beer Fest celebrates beer and those behind the craft! the people who make it. This is the third year, and this year, it falls back on Halloween! How exciting! Amazing view, anytime of the year! Because this is worth mentioning at ANY given season! The Rocky Mountain National Park is just so beautiful, especially with the chaning of the leaves! It has such breathtaking amazing views that are guaranteed to be special in the Fall, with fantastic wildlife and snow peaks even during the summertime in the peak of elevation from 7,522 feet in Estes Park to more than 12,090 feet along the Tundra Communities Trail at Rock Cut. For: Everyone! (All-Ages and yes, it’s a family event!) Just put on your best costume, hop on a bike and GO! Cost: FREE Find more info including bike parade route map and a schedule of festivities here! Ride that bike around town! Just sounds like SO much fun!!! 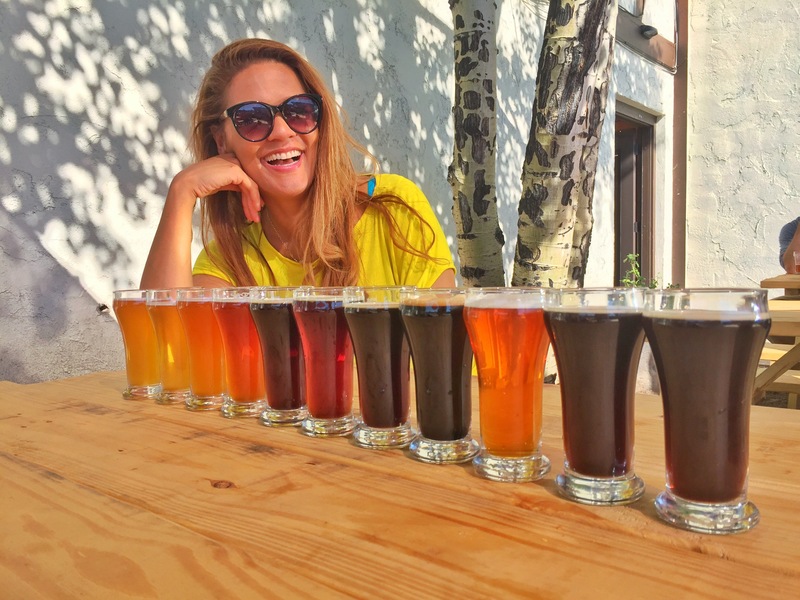 Fort Collins is the place with the most microbrews in the state of Colorado, also known as the Napa Valley of beer! It is so awesome, and the Tour de Fat is a wild and crazy celebration of all things Bikes, Beer and Bemusement! 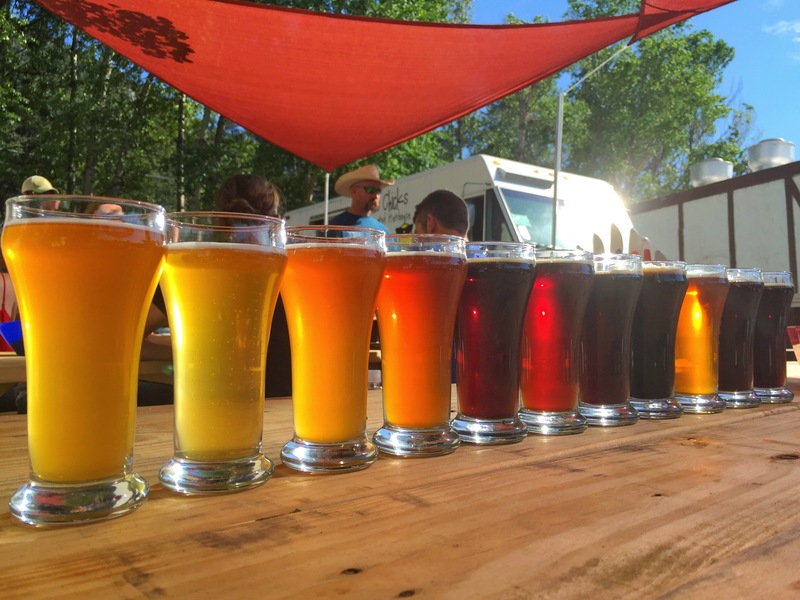 Ft. Collins is home of the famous New Belgium Brewing, and celebrates this tour like no other! Think: a full day on your bike beer tasting while dressed in the craziest most outrageous costumes! You can even participate in the Tour de Fat bike parade through Old Town Fort Collins enjoying not only the local craft beer, but also the local food, live music and circus like amusement! Sign me up if I wasn’t ready to pop! For a little more low-keyness, come to the last outdoor music festival of 2016 in Old Town Square for FORToberfest! It is a Fall festival, featuring live music and of course, specialty tastings of local, seasonal craft beers. This is Fort Collins after all, so what else did you expect! FREE entrance, family affair, while enjoying a full day of live music and community celebration Downtown! Because it’s Fall and October, so what else? Greeley offers the best of beer, brawts and free live concerts as well as games and lots of country fun at the Greeley’s OktoBREWfest 2016 in the historic part of town: Lincoln Park in Downtown Greeley at 8th Street & 9th Avenue. Take the weekend, or at least a full day to enjoy music, with specialty local brews, and foods from local vendors (I can attest to how delicious these foods are!) and bring the whole family for a ton of entertainment featuring arcades, face painting and obstacle courses for all generations! Too fun! They even have life-size beer pong! Most amazing trail ride of my life! 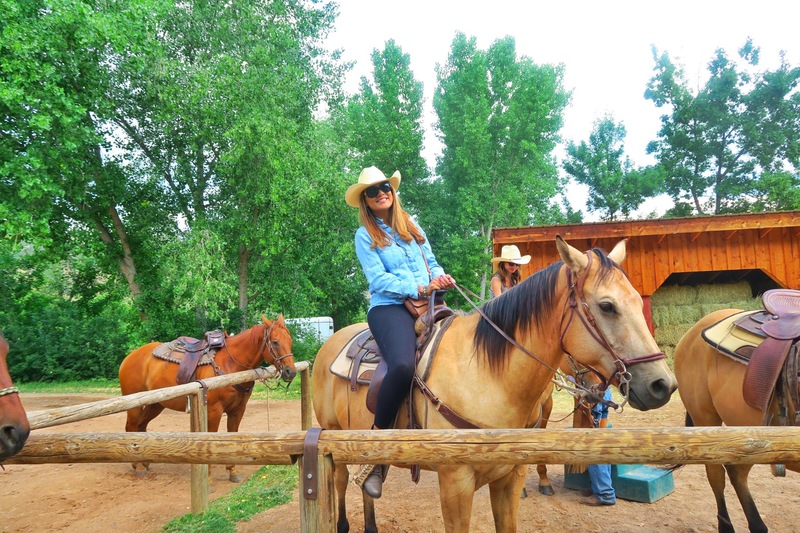 Truly unforgettable views and the friendliest horses! Big Ben and Big Ana! And Giddy-up to the chillest horses you’ll ever meet! 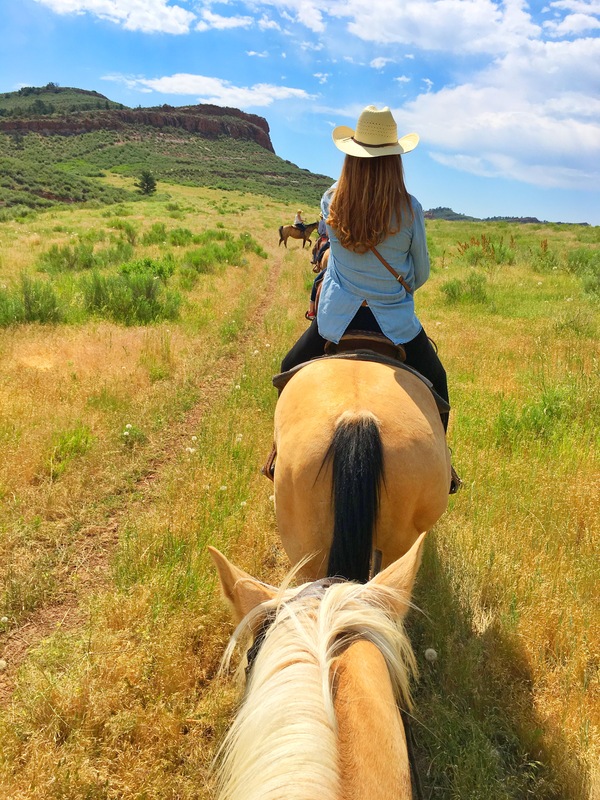 When visiting the Colorado Northern Range in search for some amazing trail rides, look no further than the authentic dude ranch for the ultimate Cowboy experience at Sylvan Dale Guest Ranch. You can even stay lodged there, with amazing options of activities and the most beautiful views, as you can see! Only in Loveland!! The sweetheart city is a must visit! Loveland is home to over 8 breweries and distilleries each with their own unique specialty, including Spring44 Distilling, which uses Rocky Mountain artesian mineral spring water from Colorado’s pristine Buckhorn Canyon, exclusively to make its fine spirits. I know I’m pregnant right now, but a girl can dream! Have a taste of the honey vodka or mountain gin after a tour, and if craft beer more your flavor, fear not! 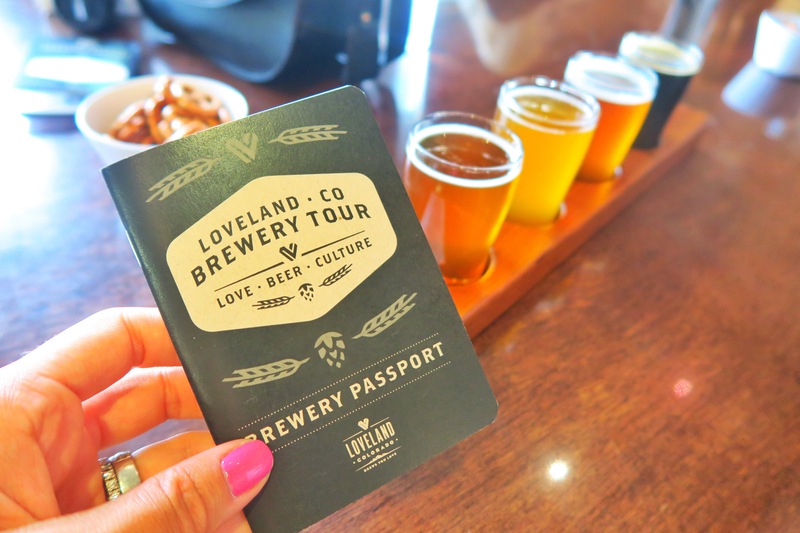 Catch a sampling of the award winning brewery scene with Loveland’s very own beer bus tour, without worrying about a designated driver! Don’t forget your beer passport for stamping!! Only Loveland, and how lovely this city really is! 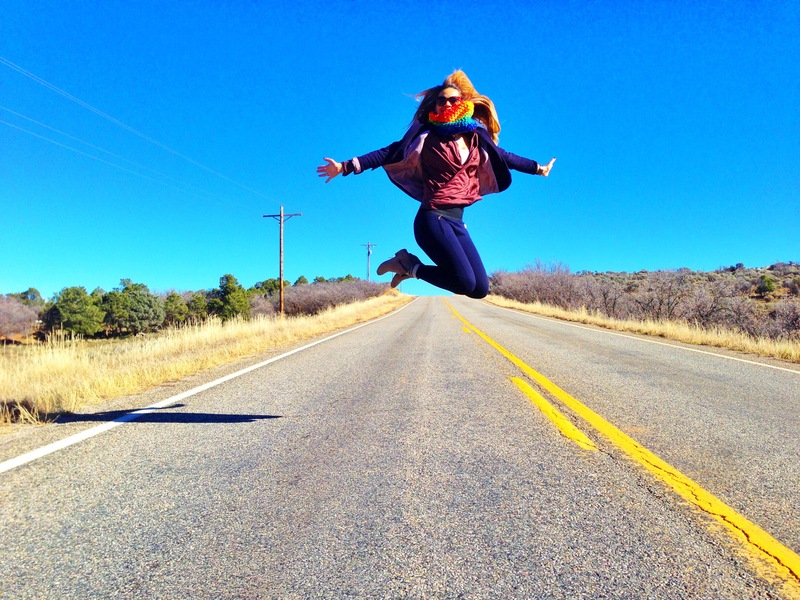 I love you Colorful Colorado! Be back soon! This entry was posted in Colorful Directions and tagged colorado in the fall, colorados front range, visist colorado in the fall, visit boulder, visit estes park, visit ft collins, visit greeley, visit longmont, visit loveland.